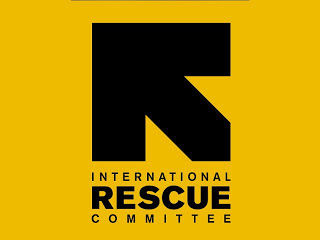 The International Rescue Committee (IRC) is an International Non Governmental Organization that responds to the world’s worst humanitarian crises and helps people to survive and rebuild their lives. In Tanzania, the IRC is supporting refugee program in Kigoma Region. The IRC is providing services in Nyarugusu, Nduta and Mtendeli refugee camps in Kigoma region. The IRC support to refugees and asylum seekers including services under the following programs: Community-Based Rehabilitation (care for disabled), Child and Youth Protection and Development, Women Empowerment/Gender-Based Violence, Reproductive Health, Mental Health Psychosocial Support and Education. The Financial Controller has overall policy and management responsibility for the finance and accounting functions for the country program. The Finance Controller’s responsibilities include general controllership, staff training, management, treasury and budget functions. Ensures that all policies and procedures are in compliance with IRC and funding source policies, procedures, and requirements. As required, establishes finance and supporting function policies, systems and procedures, and directs or performs their development, documentation, and implementation. Manages the finance department activities and schedules to meet the financial reporting requirements and deadlines specified by New York HQ and donors. Identifies requirements for and develop reporting formats to aid in the management of country operations and grant expenditures. Provides country management and program staff with monthly actual-to-budget expenditure reports and analysis for all grants and unrestricted funds. Ensures balance sheet reconciliations are completed monthly and on a timely basis and review final reconciliations and trial balances with the Country Director. Closely monitors all financial activities, and proactively keeps the Country Director advised of all situations which have the potential for a negative impact on internal controls or financial performance. Directs the preparation of and approval of all donor financial reports in respect to accounting, legal and contractual requirements and ensures the review of such reports by the Country Director and Regional Controller prior to submission. Develops, schedules and performs or supervises the completion of country internal control audits, and initiates necessary actions to correct internal control weaknesses. Oversees the protection of the country’s assets (cash, inventory, NEP) through the enforcement of internal control policies and procedures. Develops and implements a training program for the country’s international and national finance staff toensure staff development andminimize IRC’s exposure when staff are absent or depart. In compliance with IRC policy, establishes country policies regarding cash holding limits, cash movements and foreign currency holdings. Oversees the timely preparation, review and approval of all monthly bank account and cash reconciliations. Establishes country policies on advance payments, credit terms, and use of bank payment instruments. Designs, implements, and monitors systems, procedures and reporting necessary to maintain on current basis accurate forecasts of cash requirements for meeting future spending, including commitments entered into and which obligate IRC to future spending. Supervises the preparation of Cash Transfer Requests to New York and ensures that appropriate balances are maintained to facilitate grant implementation. Ensures the development and implementation of a plan to minimize the country’s foreign exchange exposure to currency gains and losses. Supervises the collection of contractual and other receivables. Assists with the preparation and revision of program and grant proposals and budgets. Assists in the preparation and maintenance of the country’s Operating Budget; including preparation of budget guidelines to assist program managers in formulating budgets. In compliance with donor requirements and IRC policy develops the “Field Operations/Overhead” budget and recommends a methodology for allocation of overhead to grant budgets. Prepares the annual and monthly cash budgets based on approved funding. A Bachelor’s degree in Accounting, Business Administration, Commerce or Finance with a recognized professional certificate in accounting such as CPA, or a Masters degree in Accounting. Minimum of five years of managerial experience in the financial area of a non-profit organization or five years of managerial experience in finance in an international commercial organization or in a private company. 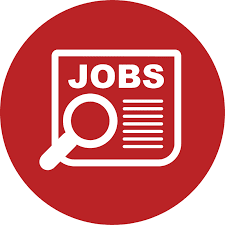 Requires extensive experience in working with computerized accounting systems, standard spreadsheet and database programs (SUN System and Vision). Must be comfortable in being a proactive member of the senior management team. Must have a proven track-record of proactively identifying and communicating potential problems and proposing solutions. Ability to carry out responsibilities independently with minimal technical support. A cover letter illustrating your suitability forthe position against the listed requirements. Detailed curriculum vitae showing contact address, email, and day-time mobile phone number(s) and three (3) referees, ONE being your last employer. ONLY copies of academic and professional certificates.